Danny Wilson is in high spirits following his third-place win at the World Coffee in Good Spirits Championship (CIGS) in November. Following the results, the Ona roaster celebrated with a glass of champagne before attending the official competition after party with his team. “It’s crazy to think I only [had] about four months’ preparation in total. To end up third with so much talent in the competition is super inspiring. It’s a testament to the quality of Australian specialty coffee,” Danny says. The CIGS Championship sees contestants craft cocktails combining coffee with alcohol to create original recipes that highlight both ingredients. “CIGS has a massive scope of ingredients and drinks you can work with. You can really explore the limits of what a coffee beverage can be,” Danny says. He began his coffee journey nine years ago, working in a café using Ona Coffee. “I started as a keen barista wanting to learn the most I could about the coffee I was working with. I had a real fascination with the process and technical aspects of working with coffee,” Danny says. While working with Ona, Danny began entering barista competitions and saw how rewarding and effective they were for his co-workers’ personal development. Danny enjoyed the experience, but after a while he found himself wanting to experiment with different ingredients. He found that opportunity in CIGS. Danny first competed in CIGS in 2015, and made a second and successful attempt at the 2018 Australian Specialty Coffee Association (ASCA) CIGS Championship. “It was super rewarding to use more of my experience as a coffee professional into the performance,” Danny says. In the lead up to the world championships, Danny considered every detail of his routine, from how his ingredients would travel to Brazil, to how the stage lights would affect their temperature. His signature drink, the Guji Cola, consisted of pineapple tepache syrup, Pedro Ximinez sherry, agricole rhum, soda water, and espresso. “It highlighted the vibrant tropical notes and sugary sweetness of the CM Selection Ethiopian coffee and gave off an amazing flavour of cola,” Danny says. For his Irish coffees, Danny combined his espresso with a 12-year-old Chivas Regal scotch whisky, Four Roses single batch bourbon, honey and brown sugar simple syrup, and hot water. 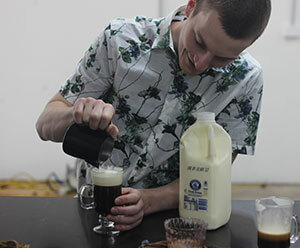 The beverage was topped with a thickened cream, which Ona’s milk supplier Riverina Fresh helped create with Danny. Danny says Riverina Fresh puts a lot of work into quality control to ensure its milk and cream has a consistent taste, something he experienced first hand on a visit to a Riverina dairy farm. “Having this much control of the milk also meant we could create a recipe for cream with a precise fat content that suited my Irish coffee,” he says. 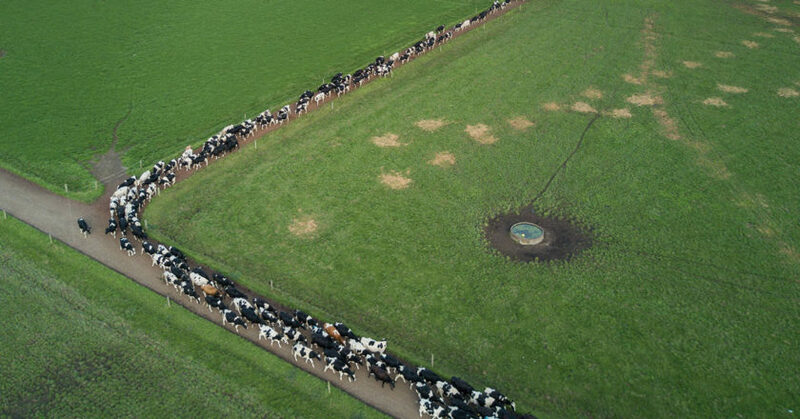 Riverina Fresh is a regionally based, Australian owned dairy manufacturer with a 96-year history. The company has a longstanding relationship with Ona Coffee, beginning in 2015 when Saša helped the milk supplier develop its Riverina Fresh Gold blend. In 2017, Riverina stepped up again, helping transport the Gold milk to Seoul, Korea where Ona’s Hugh Kelly competed in the World Barista Championship. This year, Riverina’s collaboration with Danny began two or three months before his CIGS competition. Rob says that when working with companies like Ona, Riverina remembers that the milk, or cream, should serve to complement the coffee. “We know that the coffee is the hero,” Rob says. “These guys go to significant lengths to produce phenomenal coffees with brilliant technical insight, development, and innovation. Riverina played a role in not just Danny’s coffee championship journey, but Australian Latte Art Champion Shinsaku “Shin” Fukayama’s too. Riverina supplied Shin with Riverina Fresh Gold to practice with in the lead up to the World Latte Art Championship, where he placed fourth. “It’s another one of those things where we just try to support best we can. For Shin, he just needed consistent milk to practice a lot,” Rob says. Even at the regional competition level, Riverina has been assisting its roaster partners to get the most out of their coffee. Ona had considerable success at the competition, with Angus Mackie, Hugh, and Joao Carlos Henriques taking out the top three positions in the Central Region competition. Joao said a visit to one of the Riverina Fresh dairy farms and discussions with the Riverina Fresh technical team inspired part of his routine.